I’ve got a question for you for your podcast. Your podcast is great listen to all of them so far. Nice short and concise. 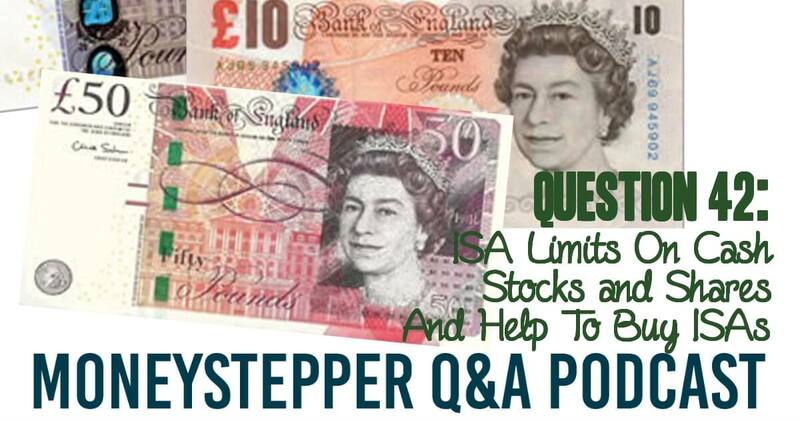 The question is: How do I invest in a stocks and shares ISA and a cash ISA in the same year without breaching the ISA rules? I haven’t opened any this year as I’m waiting for the Help to buy ISA. Since July 2015, as a results of the last Budget, the rules have been greatly relaxed. You can invest (in any proportions you wish) in a cash ISA and/or a stocks & shares ISA, as long as you invest less than the limit (£15,240 in 2015/16 tax year). They also introduced plans for the new Help To Buy ISA, expected to be released in December 2015, which allows first time buyers additional governmental support to get them on the housing ladder. I won’t go into great detail here about the scheme because we’ve already covered that in Q&A 29: help to buy ISA questions. However, as you rightly point out, there is a restriction that comes in with the new Help To Buy ISA. The government are launching this in December 2015 and have specified that you cannot “open” a cash ISA and a Help To Buy ISA in the same year. The weird thing is that investing in an existing cash ISA in the year is actually (and bizarrely) classified as “opening” an account. Therefore, to conclude, you cannot invest in a standard cash ISA AND a Help To Buy ISA in the same tax year. This means that the maximum you’ll be able to put into the HTB ISA in 2015/16 will be £1,800. This means that, if your plan is to fill your HTB ISA, you can invest anything up to the remaining £13,440 into a stocks & shares ISA. Hope that answers your question Tony. Stocks and shares ISA can be touch risky for anyone who is not so good in choosing stocks. It is always advisable to seek help initially as someone develops expertise in picking the right stocks.